This psychoactive composition is designed to guide and support you into deeper territories of your own inner worlds – far beyond the known and familiar. 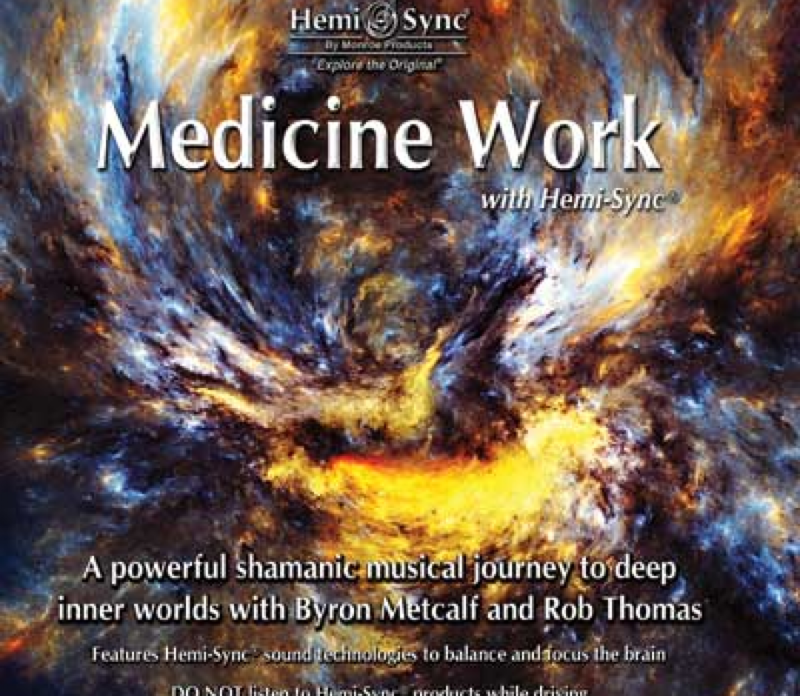 Award-winning shamanic-trance drummer Byron Metcalf and master didgeridoo artist Rob Thomas of Inlakesh combine their musical and personal medicines to create this powerful sonic experience, heightened by the addition of Hemi-Sync®. The journey concludes with the safe return home to the harmonic resonance of the traveller’s heart and true nature. Features Byron Metcalf on frame drums, buffalo drum, bass & ceremonial drums, hybrid toms, udu & clay pots, rattles & shakers, and Rob Thomas on didgeridoos, rattles and shakers, vocal chants and shamanic soundworld. Length: 71 minutes. Other titles by Byron Metcalf are: Deep Time Dreaming, The Shaman’s Heart with Hemi-Sync®, The Shaman’s Heart II with Hemi-Sync®, The Shaman’s Heart Program, and Spirit Gathering. Another title with Rob Thomas/Inlakesh is The Dreaming Gate.